Sign up for Morning Smile to get good news in your inbox daily! 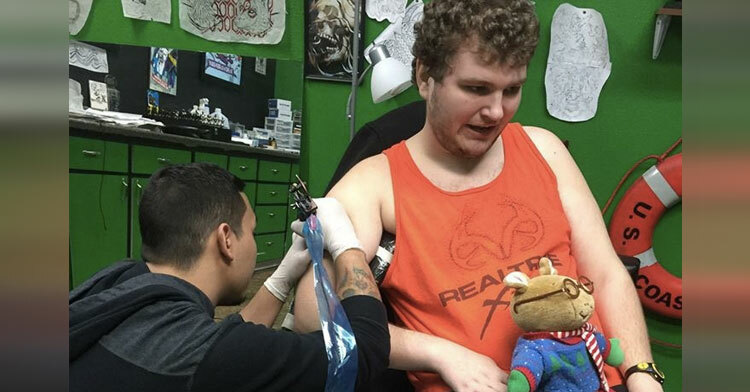 Every Tattoo Shop Turned Down Autistic Man, Until 1 Compassionate Artist Said Yes. 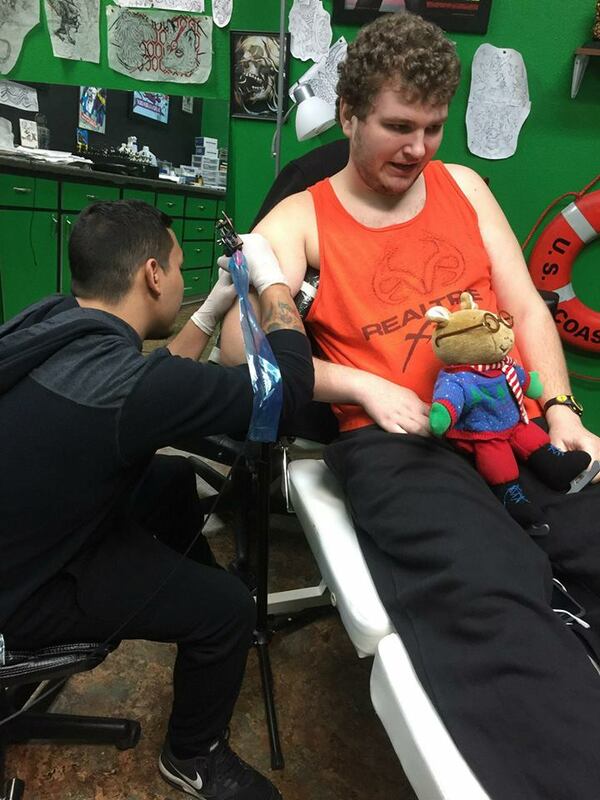 Ever since he can remember, Buzz Green dreamed of getting a tattoo. Growing up with autism, Buzz got used to people telling him what he couldn’t do. 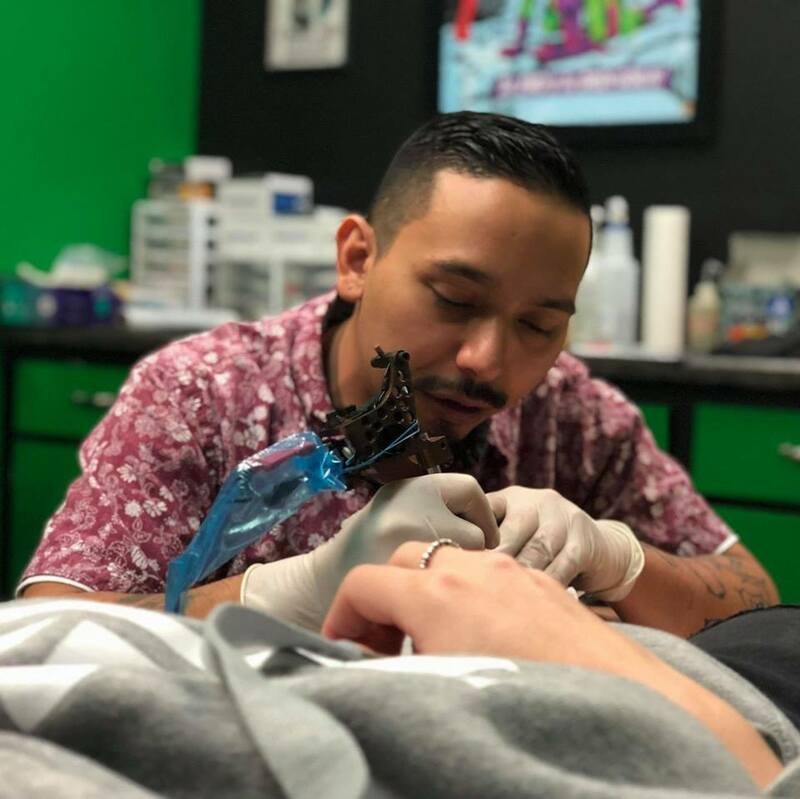 His mom Sandi Green told him he could get his first tattoo just as soon as he turned 23, but when his birthday rolled around the family quickly discovered that getting a tattoo might be trickier than they’d imagined. “As a child, he loved the fake ones and would freak out when they washed off,” Sandi said. 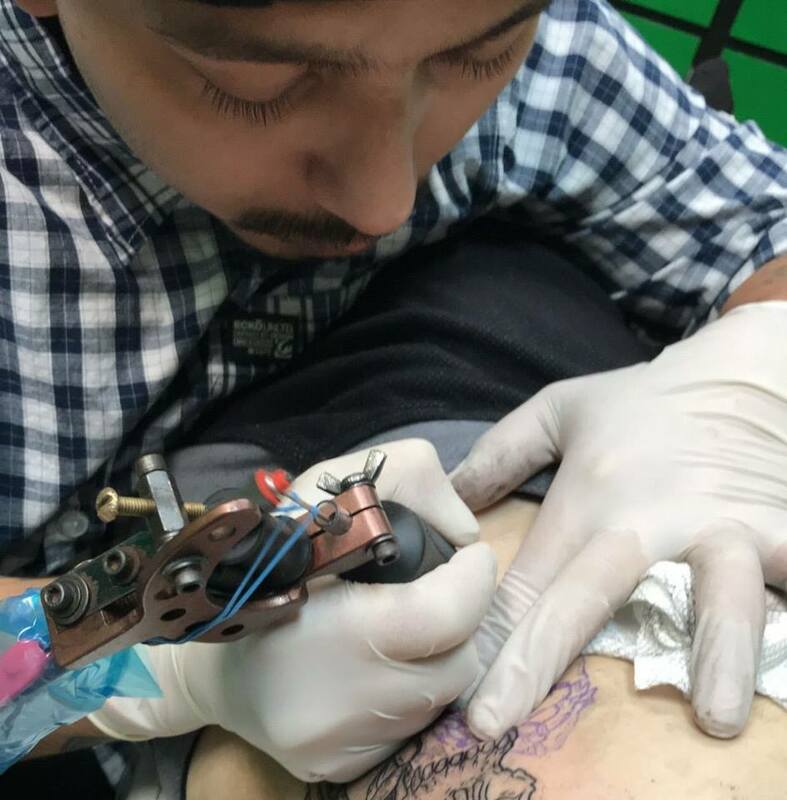 Determined to help her son accomplish the goal he’d set as a child, Sandi began searching for the perfect tattoo artist to give Buzz the tattoo of a “Rugrats” character that he craved. She even spoke to Buzz’s doctor to get his okay, and the doctor thought it was a great idea. But each time Sandi brought Buzz to a tattoo parlor they took one look at the 6’3″, 200-lb. autistic man standing in front of them and turned him down. Other artists simply quoted him an outlandish cost, making the artwork prohibitively expensive. 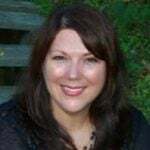 Sandi thinks that they were worried about how Buzz might handle the pain of the needle, but regardless of their reasoning, they were clearly discriminating against her son. Finally, they walked into the right shop. Pat Masga works at Northwest Inkorporated, and as soon as he heard about the trouble the Greens had been having he decided to take the job. 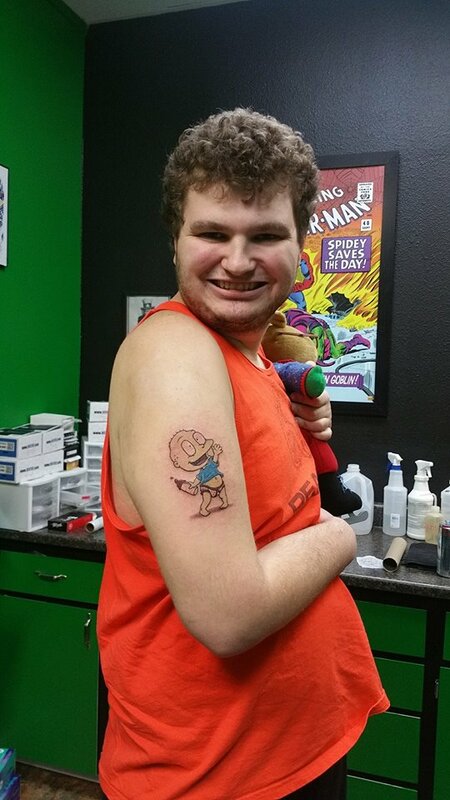 Buzz got a tattoo of Tommy from the Nickelodeon show, “The Rugrats,” and he is thrilled with how it turned out. 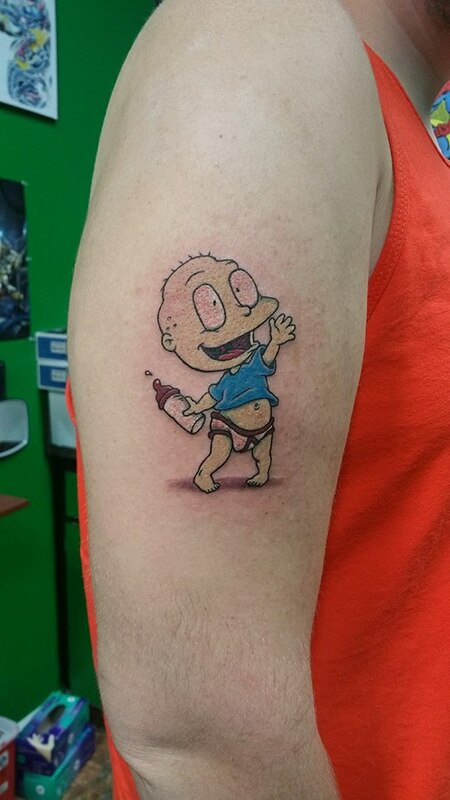 He’s already saving his money to get the rest of the “Rugrats” gang on his arm next to Tommy. Talk about a dream come true! After Pat shared the story of how Buzz had been rejected simply because of his autism, the internet exploded with supportive comments. We’re sad to hear that so many tattoo shops judged Buzz before ever getting a chance to know him. It’s a good thing that there are artists out there like Pat who are willing to look beyond the exterior and see the unique human being inside. If you agree, please share this story to encourage more acceptance! Share your story & inspire the world. If you have an uplifting story we would love to hear about it! Share it with us here. 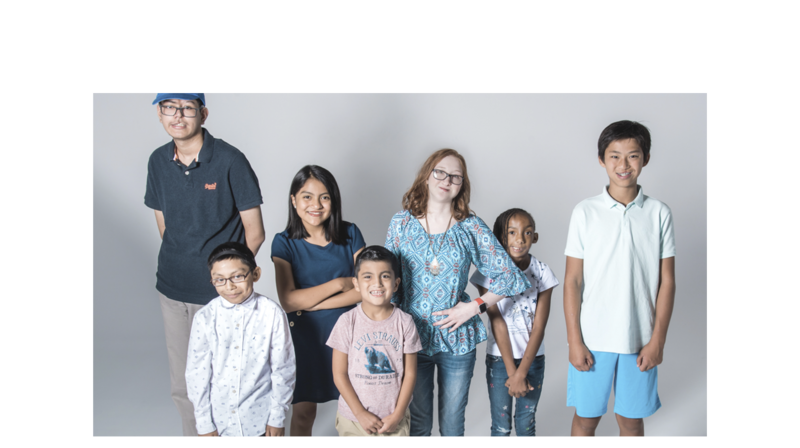 Transform the lives of people with facial differences. Beloved: A Poem For My Son Who Has Autism. Stephen Hawking’s 2 Simple Tips To Live A Long, Inspired Life. Woman Celebrates 100th Birthday By Milking A Cow & Her Reaction Is Pure Gold. Student Cries When She Reads Final Exam Question, Now The Unusual Test Is Going Viral. I’m A Blind Mom Parenting 2 Blind Children — It’s Beautiful, Difficult & So Worth It. Waitress Catches 2 Cops Singing & Her Video Catapults Them To Stardom. Girl’s Adorable Presentation About Famous Female Aviator Has Internet Falling In Love.